The following should act as a wake up call for all hoteliers and restaurateurs who have either not checked in their attics and cupboards or have art displayed without knowing who the artist is. Lost, unrecorded, rediscovered, uncovered, found or authenticated: Barnebys have compiled the best stories from around the world of artworks that have been rediscovered, much to the benefit of the astonished owners. These ten paintings are worth an estimated £471milion, one can only wonder what else remains to be discovered? It’s not uncommon to hear stories or rumours about rediscovered masterpieces – from the tucked away corners of grandparents’ homes, to car-boot sales, and the storage containers of garages. Barnebys have researched and compiled the top ten rediscovered masterpieces that have astonished the art world. The 400-year-old canvas – depicting the beheading of an Assyrian general, Holofernes, by Judith from the biblical Book of Judith – was found in 2014 when the owners of a house near the southwestern city of Toulouse were investigating a leak in the ceiling. Discovered in remarkably good condition, specialists believe the work was painted between 1600 and 1610 and could be worth as much as €120 million (£107 mil). Art expert Eric Turquin asserts that the attic Caravaggio is indeed genuine, citing its brush strokes, intricate details, and use of light and energetic style as proof. Other experts, like British art critic Jonathan Jones, claim that the painting lacks Caravaggio’s ‘psychological intensity’ or signature realism. 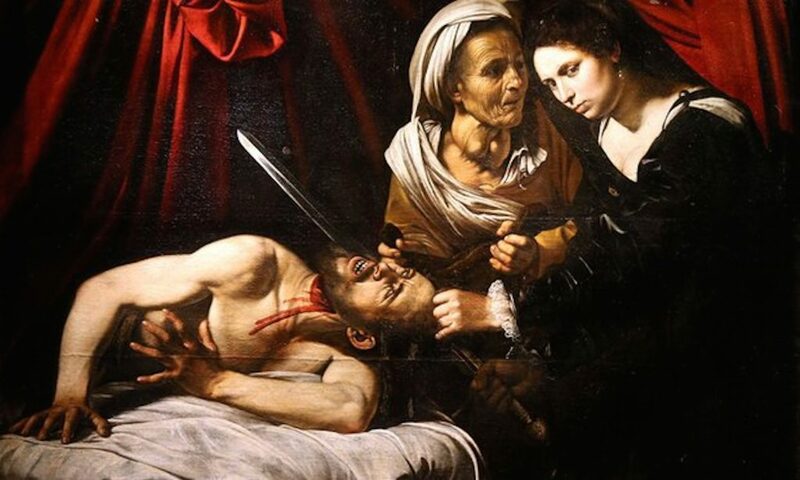 Meanwhile, the contested Caravaggio work continues to be a magnet for controversy. In 2016, art historian Giovanni Agosti resigned from the board of Milan’s Brera Art Gallery after the institution displayed the work alongside authenticated Caravaggio paintings. That said, the French government has placed an export ban on the canvas until November 2018, to prevent it being snapped up by an international collector. With that date quickly looming, we’ll be watching this space. An important portfolio of images by Eugène Atget, one of the ‘founding fathers’ of modern photography, was thought to have been lost – until it was rediscovered almost by chance among the archives of the artist André Derain. Comprising 21 lots, these works dating from 1896 sold in 2016 for between £1,000 to £109,000, totalling £730,000. 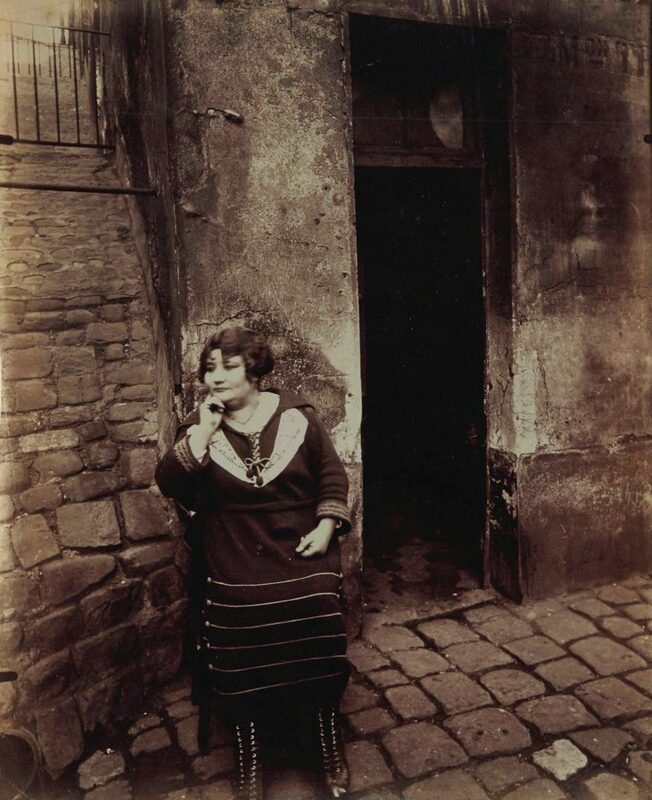 Born in 1857, Atget first began taking photographs in 1890, documenting the architecture of Paris’ streets, from door handles to monuments, shop fronts and the public. In December 2015, in Sun City, Arizona, while helping an elderly neighbour prepare to move into a retirement home, a local man spotted a Los Angeles Lakers poster in the garage, signed by Kobe Bryant. They contacted Scottsdale-based J. Levine Auction & Appraisal to gauge its value, but the piece of sports memorabilia ended up being one of the least valuable artworks in the house: while investigating the garage, auction house employees stumbled upon a painting that appeared to be by Jackson Pollock, along with a cache of works by Colour Field painter Kenneth Noland, American abstract artist Jules Olitski, and visual artist Cora Kelley Ward. The homeowner had inherited the treasure trove of paintings from his half-sister, New York socialite Jennifer Gordon Cosgriff, who died in 1993. Private investigators hired to investigate the works determined that Cosgriff had been friends with Clement Greenberg, the mid-20th-century modern art critic and essayist, and artist Hazel Guggenheim McKinley, the sister of socialite and arts philanthropist Peggy Guggenheim. 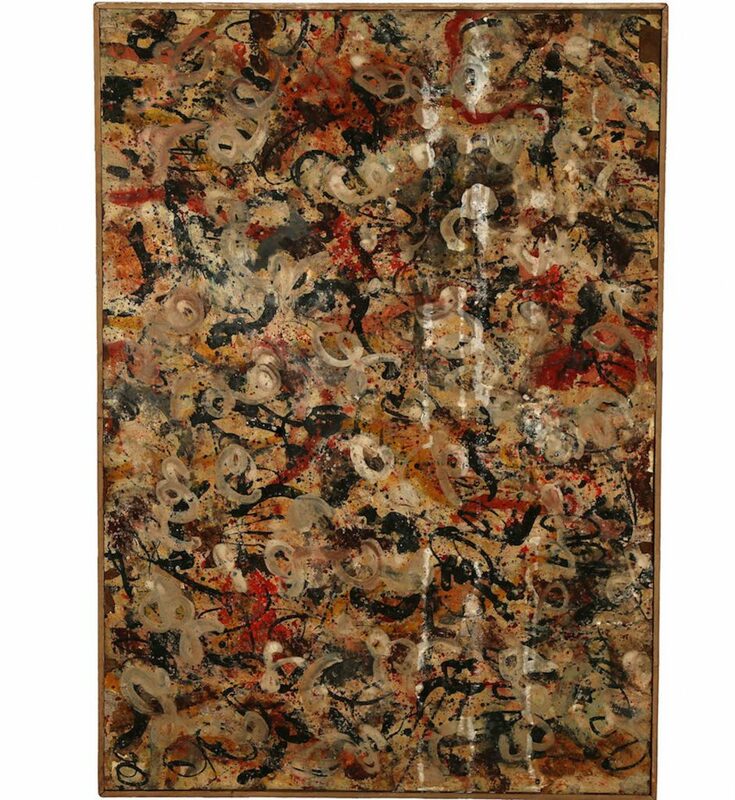 The Jackson Pollock painting is estimated to be worth around US$10 to $15 million (£7.8 to £11.7 mil). Thanks to Josh Levine, owner and CEO of J. Levine Auction & Appraisal, its provenance has been traced, at a cost of several tens of thousands, and forensic scientists have dated its materials back to the mid-20th century. Bidding was expected to start at $5 million (£3.9 mil) on 20 June 2017, however bidding was postponed to an unconfirmed date due to ‘improper vetting and dropped bids’. About twenty years ago, a collection of close to 60 previously unknown paintings and drawings of Danish artist Marie Krøyer was found in an attic in Dalarna, Sweden. 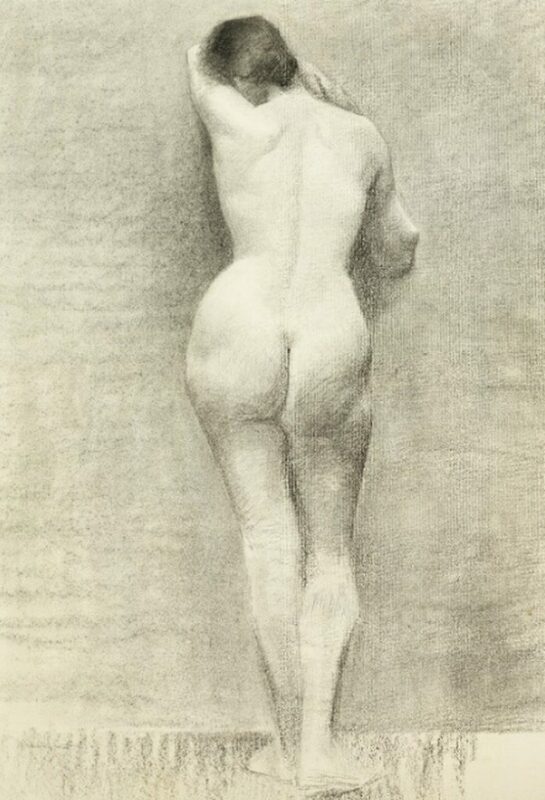 In 1962, Marie Krøyer’s daughter Vibeke inherited and gave the folder with drawings and paintings to a local craftsman. For nearly 40 years the folder was hidden in an attic, until it was found by chance. Based on its content, magister Tonni Arnold published the book, The Art of Marie Krøyer’s Life in 2002. Prior to the discovery of the folder, only about 20 words from Marie Krøyer’s hand were known to exist. Krøyer was a promising young artist who laid down her brushes shortly after she married the successful Danish Skagen painter, Peder Severin Krøyer. She instead became his most distinguished model and her beauty became famous throughout the country. The marriage became turbulent and she soon left Denmark for Tällberg, Sweden, where she became the muse and wife of Hugo Alfvén. With her, she took her artworks and legacy. 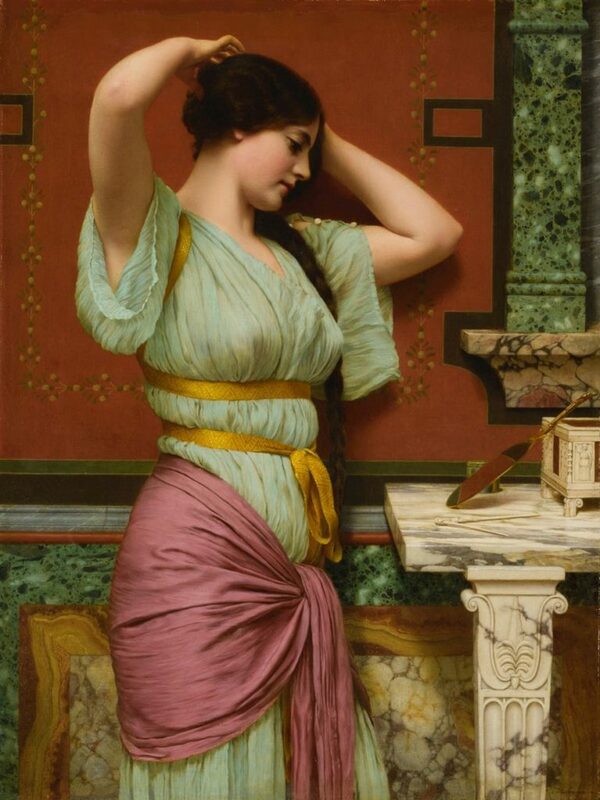 This previously unrecorded work is an important addition to the oeuvre of Victorian painter John William Godward, R.B.A. Rather fittingly, the presumed first owner was Julia Sophia Winkelmeyer Straub, the enterprising daughter of the St Louis brewer Julius Winkelmeyer. It was passed down through the family ever since. It sold in May 2017 for £844,000. 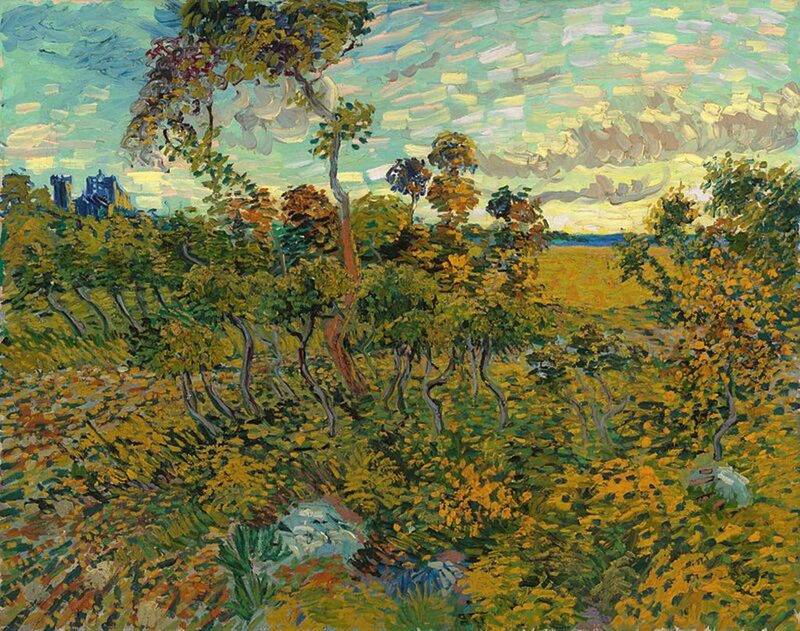 This Vincent Van Gogh landscape had been held in a Norwegian attic until 2013 when it was authenticated, following a two-year investigation, by the Van Gogh Museum. It is from what is arguably van Gogh’s greatest period when he lived in Arles, Southern France, and created works such as The Yellow House and The Sunflowers. It is the first full-size work by the artist to be discovered since 1928. According to the International Business Times, Sunset at Montmajour is rumoured to be worth US$50 million (£39.2 mil). 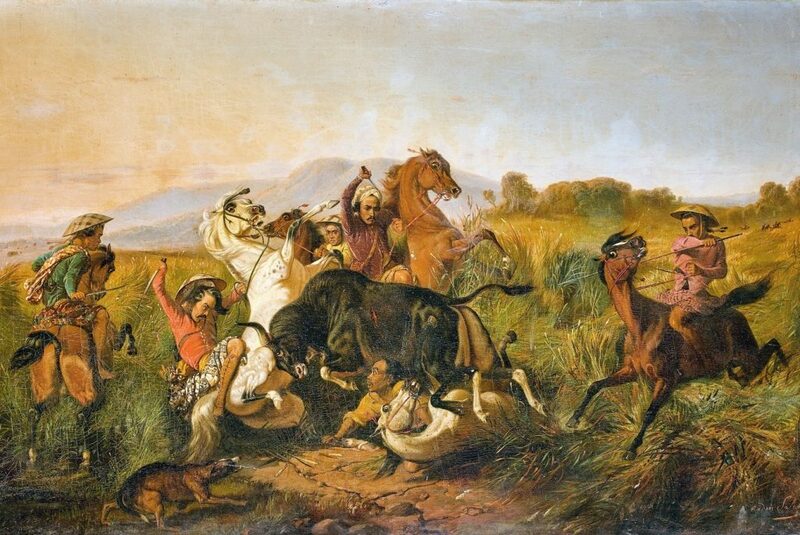 This painting by an Indonesian master of the nineteenth century, Wild Bull Hunting (Bateng), which was kept for many years in the cellar of a house in Auray (in Morbihan, France), was sold for €7.2 million (£6.4 mil) in January 2018 at auction in Vannes, a record price for a painting by Raden. Dating from 1855, this 1.10 x 1.85 m hunting scene was acquired by an anonymous collector from Jakarta. Created by Rembrandt when he was in his late teens, the c. 1624 painting is one work in a series that the artist likely created to depict the five senses (to this day, the artwork that represents ‘taste’ is still missing). 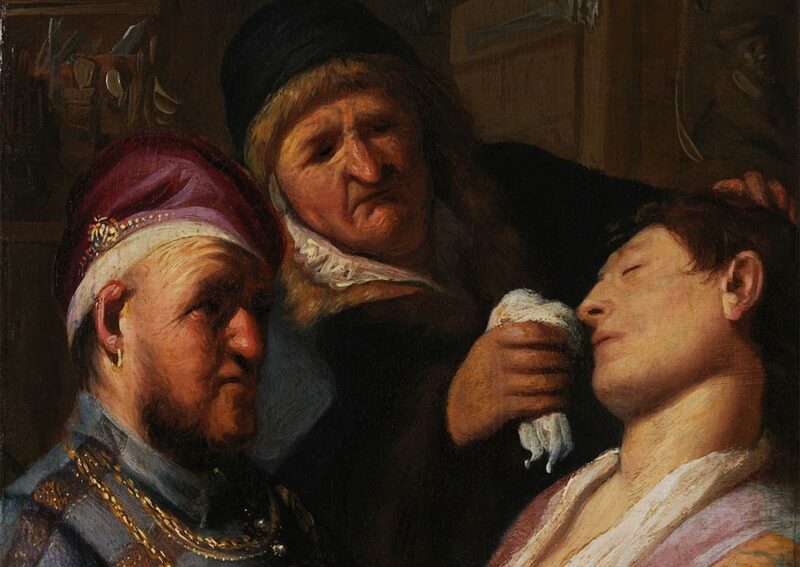 It portrays an unconscious young man who’s being revived with what appear to be smelling salts. The work sat in a New Jersey basement for years, and was estimated at just US$500 to $800 (£390 to £620) when it came to the auction block at Nye and Company, in Bloomfield, New Jersey. The bidding soared to $870,000 (£680,000) when two Paris art dealers, Bertrand Talabardon and Bertrand Gautier, who run Galerie Talabardon et Gautier, identified it as one of the Dutch master’s first canvases. The American billionaire Thomas S. Kaplan, CEO of New York investment and management firm Electrum Group, then bought the painting at a price reported in the range of US$3-4 million (£2.4-3.1 mil) in 2016, and exhibited it at TEFAF. Never auctioned before, this rediscovered masterpiece by Baroque painter Artemisia Gentileschi sold in October 2018 for €1.6 million (£1.2 mil) – more than double its estimate. It was consigned from an aristocratic collection where it had been kept since the mid-19th century. 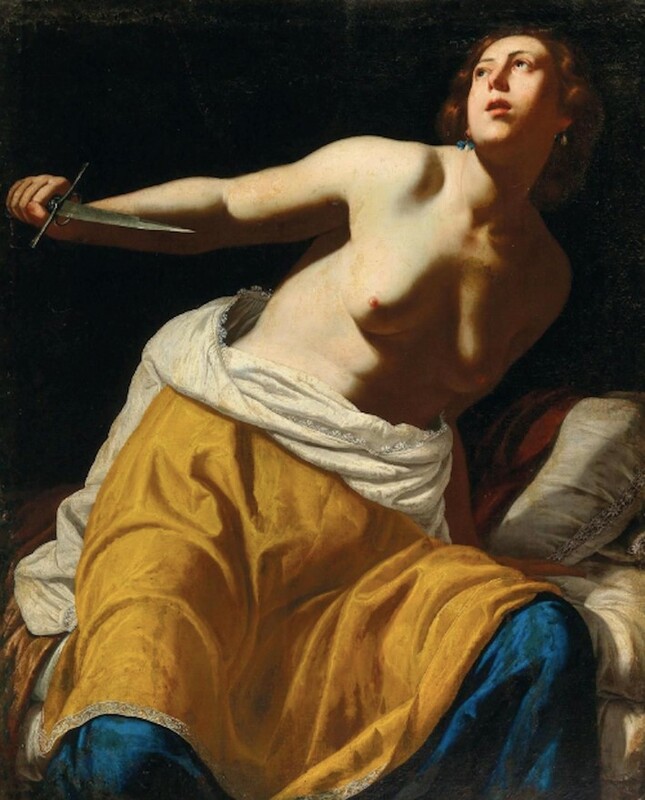 Gentileschi was known to paint strong and heroic women of Ancient and Christian mythology. She herself suffered sexual abuse and the subject matter of her paintings subsequently reflected her life. 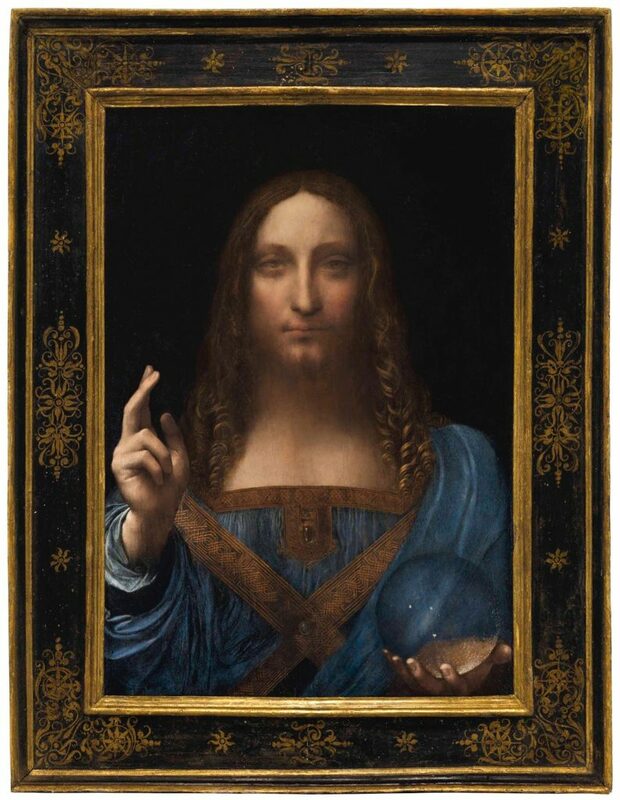 In 2005, Salvator Mundi was acquired for less than US$10,000 (£7,800) at an auction in New Orleans by a consortium of art dealers. It had been heavily overpainted so looked like a copy, and the consortium spent the next few years having the painting restored and authenticated. In May 2013 the Swiss dealer Yves Bouvier purchased the work for just over US$75 million (£58,500,000), and the painting was then sold to Russian collector Dmitry Rybolovlev for US$127.5 million (£100 mil). It was exhibited in Hong Kong, London, San Francisco and New York in 2017, and then sold at auction in Christie’s in New York on 15 November 2017 for US$450,312,500 (£340 mil), a new record price for an artwork. Barnebys, the world’s leading auction aggregator. As the world’s leading auction search service (or aggregator), Barnebys features, at any given time, over a half million items for sale through about 2,000 auction houses worldwide. Barnebys is fast closing in on the 1.5 million visitors a month mark. 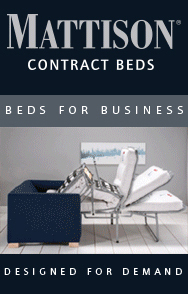 The firm employs people in Sweden, the UK, France, Germany, Spain, China and the US.